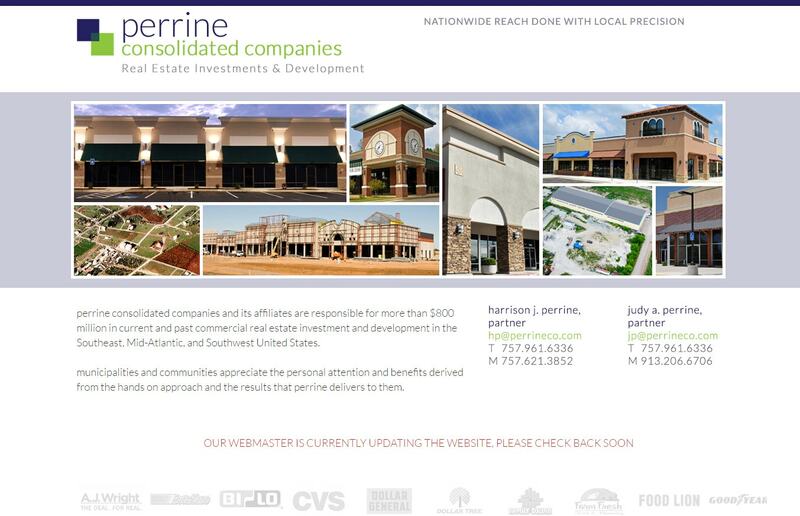 Web Page Web Builders Virginia Beach VA | When Perrine was looking for a website design company they choose VISIONEFX to launch their new business website. They required a clean, streamline design that was mobile responsive. The website features custom jQuery homepage scrolling using random effects. The footer features water-marked logos of their clients and/ or properties that scrolls through the logos, advancing each one at a time. The interior features hover-reveal photos in a gallery setting with photo descriptions for each property or development.